There is an increasing demand for textiles to be produced in an environmentally friendly manner as well as the ecological requirements for the entire textile industry. However, even under these increasing demands, the performance of textile auxiliaries doesn’t have to be impaired. The CHT Group are a specialist for environmentally friendly products and provide a comprehensive know-how along the textile value chain. The company offer auxiliaries for screen printing and transfer systems. The most recent generation of CHT screen printing silicones, ALPAPRINT NG are the environmentally friendly alternative to plastisol inks as well as PVC and are free of critical softeners. They are easy to handle and feature high levels of elasticity and durability. The ALPAPRINT NG series is suitable for both outdoor and sportswear. The water-based printing pastes, PRINTPERFEKT CLEAR 680 FF and WHITE 680 FF are both environmentally friendly and are GOTS and bluesign® listed. The TUBIJET DTG 500 Primer is designed for spray application in inkjet printing and offers optimum results in bonding white ink to textiles. The print attains an outstanding contour sharpness as well as homogeneity of the white ink and brilliant colours. The primer is suitable for white and dark garments and is universally applicable and results in a high degree of flexibility in inkjet pre-treatment. The PRINTPERFEKT S2S printing paste system enables wet-on-wet printing and prevents drying between colours in multicolour designs. It provides you with a higher flexibility in production and significantly reduced energy costs. FESPA Global Print Expo 2019 is Europe’s largest speciality print exhibition for screen and digital wide format print, textile printing and signage solutions. 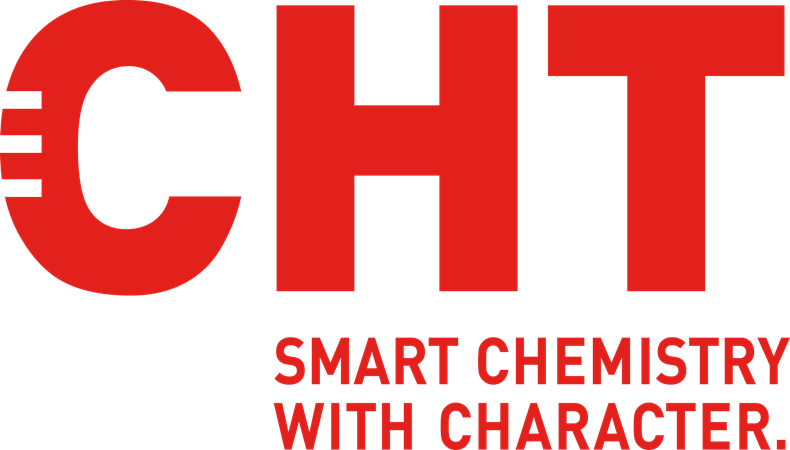 Visit CHT Textile Solutions at stand C53 in hall A6 at the Messe Munich between the 14-17 May 2019 and discover the available features. Please use promo code FESG902 to register for free.